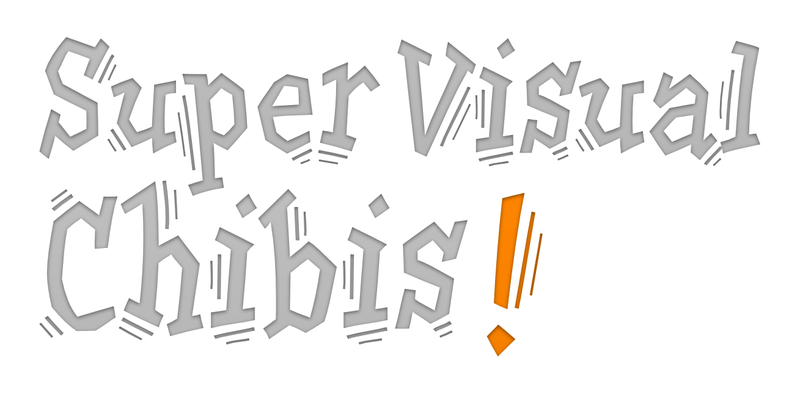 With Super Visual Chibis! 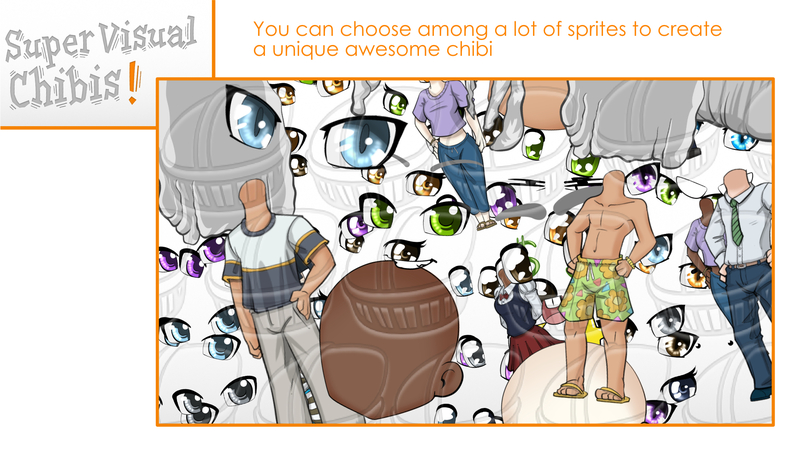 you can make a lot of characters, very diverse and visually attractive. You can use them in your mobile games, in your visual novels or every kind of game or app you can imagine! 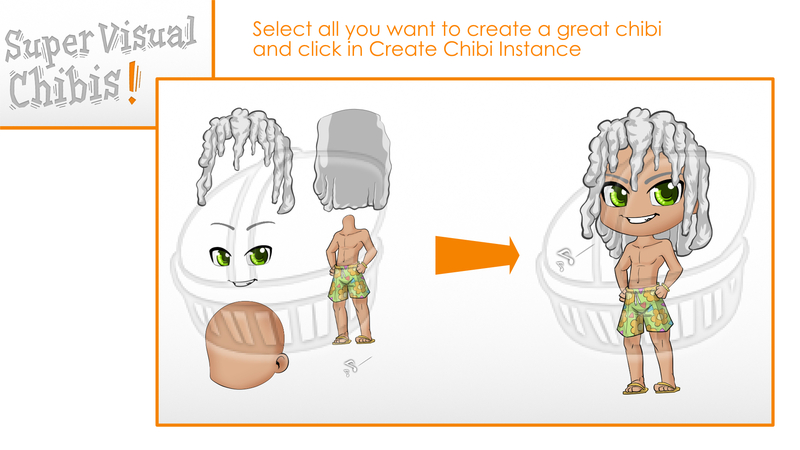 Try every combination you want (body, head, hair and eyes color and extra expression) in the character generator. Make cute and very emotional characters, all visually stylized and loveable, all of them have been hand drawn. Feel yourself free to break all the stereotypes in character creation. You want a confident and strong female? You desire a young shy boy? You will have no problem! -Body variation for both gender and ethnic. -Complete facial expression, change mouth, eyes and eyebrows. -Diverse basic emotions in a comic-book style. -Basic clothes for a visual novels: suits, school uniform, swim clothes, shirts and pants. 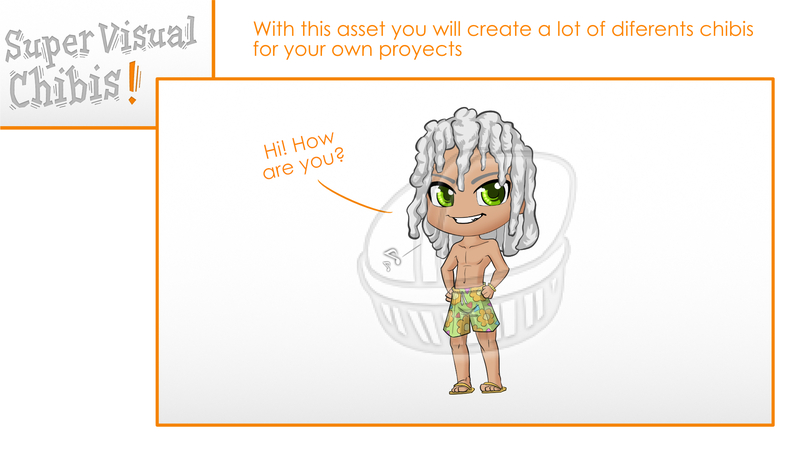 -A character generator that uses the png atlases to create easily your chibis!